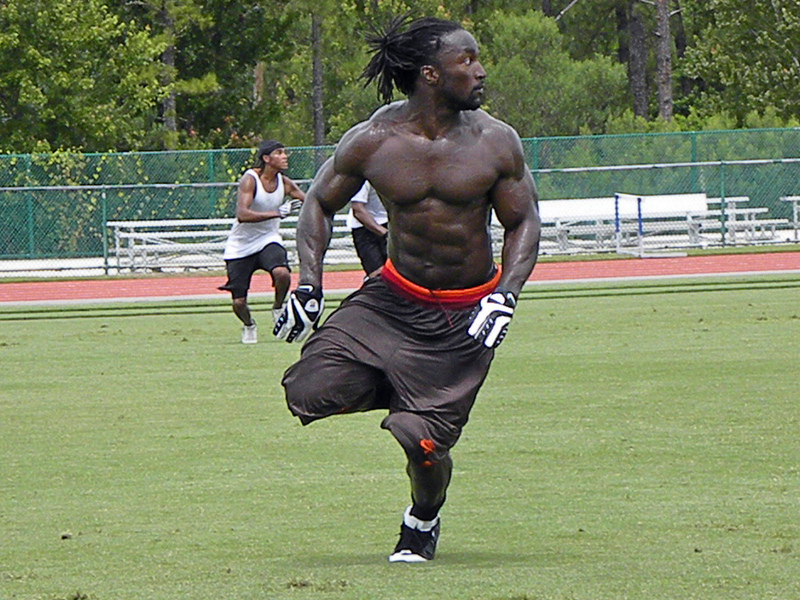 Shirtless Greg Jones played the position of tailbacks for the Florida Seminoles until 2002. He was considered one of the best in the country. While at Florida state he majored in business administration.. Jones is the cousin of boxing great Joe Frazier. See Greg Jones Naked Here!